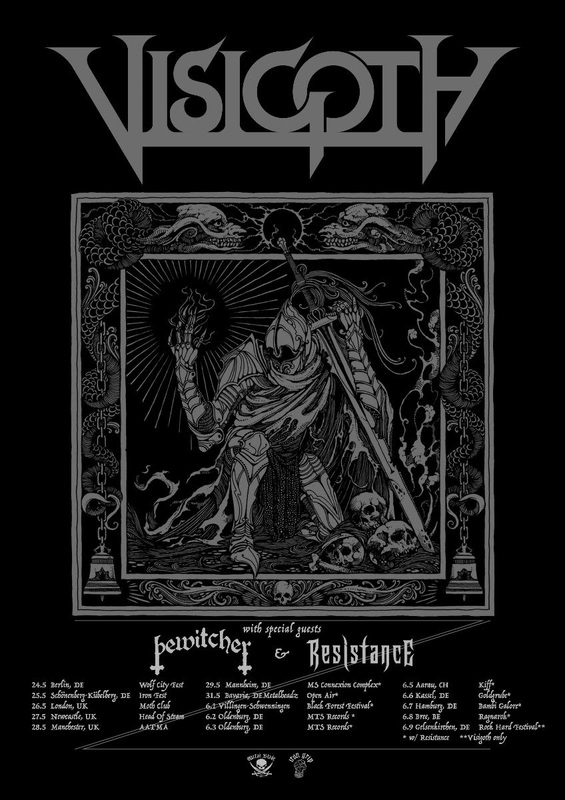 VISIGOTH announces European headlining tour for the summer! New 7” on the way! 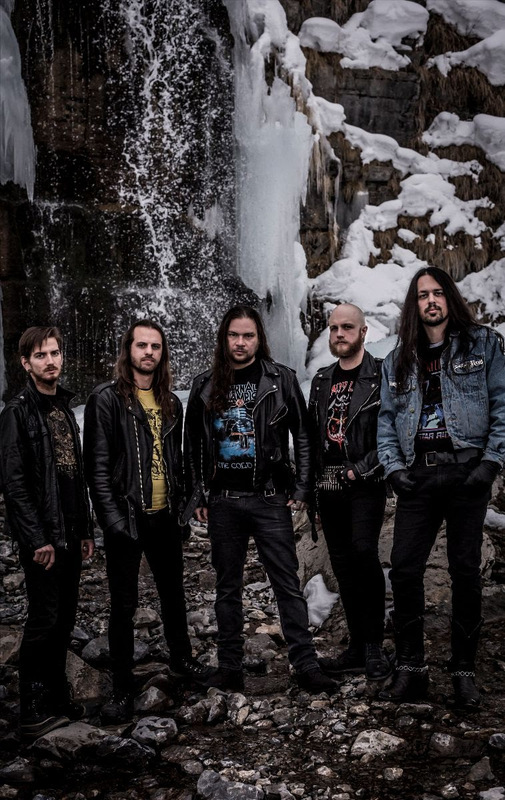 Last week the band launched the video for ‘Traitor´s Gate’ (watch HERE) and graced the cover of the latest issue of Deaf Forever magazine, now VISIGOTH is happy to announce a full European run through Europe in May and June! The tour is accompanied by the release of a 7” with two brand new songs. More details on the 7” shortly! Standing in staunch opposition to any presumptuous notion of “reinventing the wheel” or “redefining the genre”, VISIGOTH instead dedicates themselves to worshipping at the ageless altars of heavy metal with a singular focus on writing music inspired by their favorite records. Whether whipped into a frenzy ignited by classic USPM or NWOBHM anthems, or pensively meditating on traditional epic heavy metal or weighty doom-inspired moments, these Salt City hessians wear their influences proudly on their sleeves. With their 2018 long-player ‘Conqueror’s Oath’, VISIGOTH stays true to the title and conquers the sophomore slump blues with 8 iron-forged anthems of pure metal magick guaranteed to satiate the hunger of the rock’n’roll hordes! Returning to the depths of the Boar’s Nest in their hometown of Salt Lake City to record once again with engineer extraordinaire Andy Patterson (Subrosa, Deathblow, Dreadnought, et al), ‘Conqueror’s Oath’ was hammerforged in a whirlwind month of mayhem and mastered by Dave Otero of Flatline Audio (Satan’s Host, Nightbringer, Khemmis, et al). Immortalized by breathtaking cover art created by none other than underground album art legend Kris Verwimp (whose work has graced records by Absu, Bewitched, Desaster, Horna, Moonsorrow, Skullview, Arkona, and many, many more) in proper swords-and-sorcery fashion, ‘Conqueror’s Oath’ stands tall on the field of battle, serving as a gauntleted fist in the face of non-believers. Prepare for the onslaught of Salt City Steel!